RX150 buggies are available for hire in the RX150 Rallycross Championship, that runs within the MSA British Rallycross Championship, and also for drive and test experiences on Team RX Racing’s RX150 test facility near Heathrow airport. 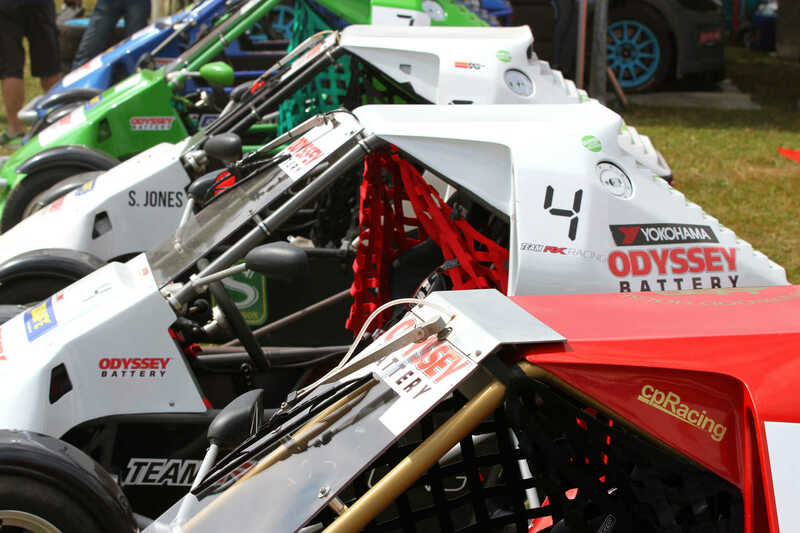 This is your opportunity to compete in an off-road single-seater machine that will get your heart racing! Hire packages are available for individual events or full seasons in the single-make RX150 Championship. As part of the package, each new driver has the option of a pre-event test, with tuition in a two-seater RX200 machine. The packages are ‘arrive and drive’. You simply need to turn up with your helmet and overalls (or these items can be supplied) and race. Team RX Racing car give assistance in applying for competition licenses from the MSA to be eligible to compete. On events, the RX150 mechanics will look after the running of your race buggy in the RX150 race transporter and awning, while you will receive driving advise from some of the top drivers in the sport. Passes can be provided for you family / friends and sponsors, with access to the Team RX Racing hospitality. Photographs of your experience will be provided. Prices start from £2,500 (+VAT). Contact us for more info. Check out videos of RX150s in action here, and onboard laps of circuits in the RX150 Rallycross Championship here. Team RX Racing is able to provide corporate drive experience days at its own test track and at venues around the UK. These can include individuals or groups of people from experienced competition drivers looking to sample something new or complete novices. Everything required can be provided, including any media requested, in the medium of edited photographs and videos.